Enterprise Imaging Systems is a privately owned Irish company. With a head office in Blanchardstown, Dublin we distribute our products directly and through partners around both countries. All support is handled directly by our Microsoft certified support team. Enterprise Imaging Systems mission is to do for document management what e-mail did for communication. How? By offering simple, effective and affordable products. 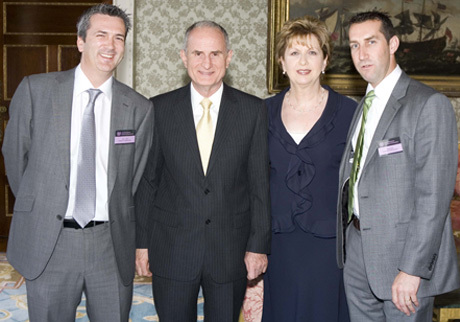 With such high-profile clients as Bank of Ireland, Gamestop , Tallaght Hospital, NRA, Nestle and Musgrave we offer solutions to a cross-section of industry from government bodies to financial institutions, FMCG's and hospitals. Founded in 1999 by three former executives of the Minolta Corporation NY. All have been involved in the computer software sector since the early 90's, and built Enterprise Imaging Systems on the back of their extensive industry experience. Enterprise Imaging Systems are a leading document management system provider in Ireland and the UK.